We are proud of the reputation we’ve earned for providing excellent service to thousands of satisfied customers. We are confident in the quality of our product and the experience of our factory trained staff. We are ready to help you with your design ideas and truly have a care in providing you with a product that is best fitted to your needs. We offer speedy delivery and expert installation. When you buy one of our spas, you’re buying the assurance of quality service! We stand behind our customers and our product. We are one of the largest and most awarded hot tub dealers on the Western Slope. Our reputation and goal of excellent customer service has made us one of the best in the nation! You’ll find quality products backed by experienced professionals at competitive prices. Our business was established in 1985 and continues to grow every year. 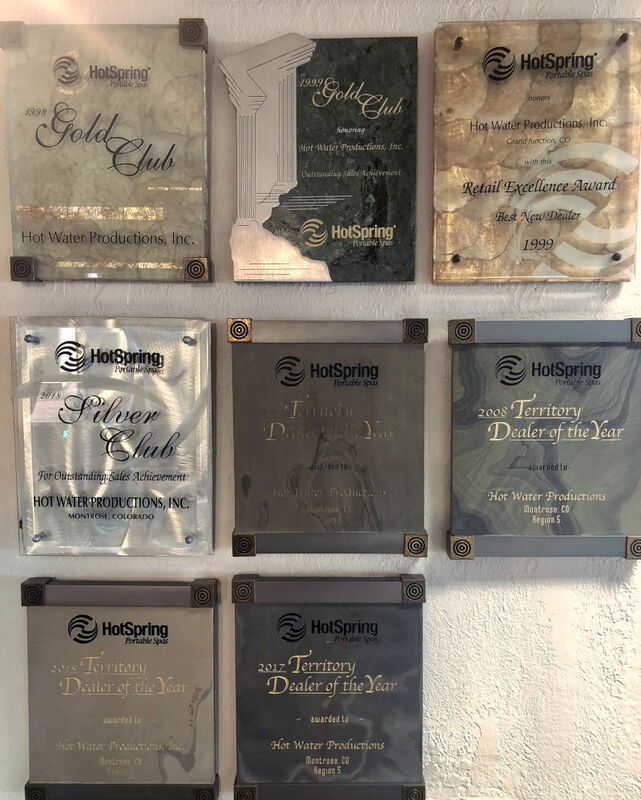 Since 1985 we have sold and serviced Hot Spring Spas for thousands of satisfied customers. If you desire references, we will gladly furnish as many as you need to feel comfortable working with us. We do everything we can to keep our prices as low as possible. Continually over the years we have provided products at prices that are looked at constantly to make sure we stay the most competitive in the industry.